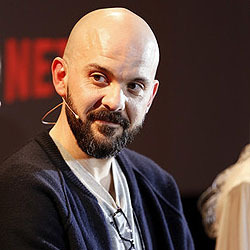 Simon is the Co-creator, Co-writer and Executive Producer of new Netflix Original show, The Innocents. His career began as an award nominated illustrator working for small press genre publications worldwide, before spending 12 years working as a storyboard artist and 2nd unit director on projects such as Star Wars: The Force Awakens, The Crown and Black Mirror for Netflix, and McMafia for the BBC, amongst many others. His first short film, Later, adapted from the short story by internationally best-selling author, Michael Marshall Smith, was nominated for the prestigious Melies D’Argent award at the Sitges film festival in 2011. The Innocents is only his second project to be optioned. Simon is represented by Sean Gascoine at United Agents. I had high expeditions of the festival and they were totally exceeded. I met great people and learnt a wealth of information. It was brilliant.